Cleaners – What do They do? Home Project Advice Other Cleaners – What do They do? 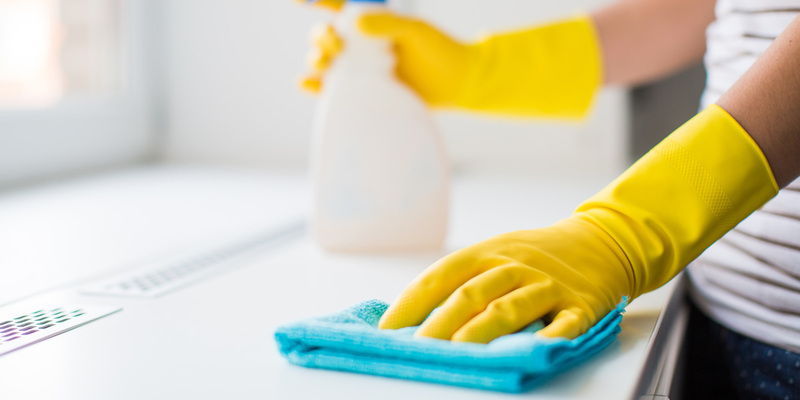 Domestic cleaners do a wide variety of household chores from vacuuming, mopping, wiping surfaces, through to changing linen, laundry, washing windows, cleaning fridges and ovens. They most often work on a weekly or fortnightly schedule. Cleaners will provide a variety of services, not of all which you may want or need, so it’s important to agree on what jobs you want done and how long it’s expected to take to complete them before they get started. Start by making a list of what you want cleaned, how often you want them to come and what your budget is. In most cases, the cleaner prefers to do an assessment of your home first, so they can see for themselves what needs doing and set the price. Keep in mind that the first clean often takes longer. Most cleaners like to do a thorough clean first to get a good baseline, from which they can then maintain. Check whether the cleaner will supply their own cleaning products and tools, or whether they’ll be using yours. Don’t be afraid to ask for references and read any reviews you can about their past jobs. Once its established what you want done and how often, you’ll need to organise access to the property. if your not there you may need to leave a key out. A professional cleaner will be able to utilise all the best cleaning supplies and equipment to make sure the job is done well. Often it’s only after a good clean that you realise just what a difference it’s made. Their work tools include cleaning carts, mops, buckets, dusters, brooms, vacuum cleaner, towels, garbage bags and cleaning solutions. I love the simplicity of this article, great informations. Thank you.